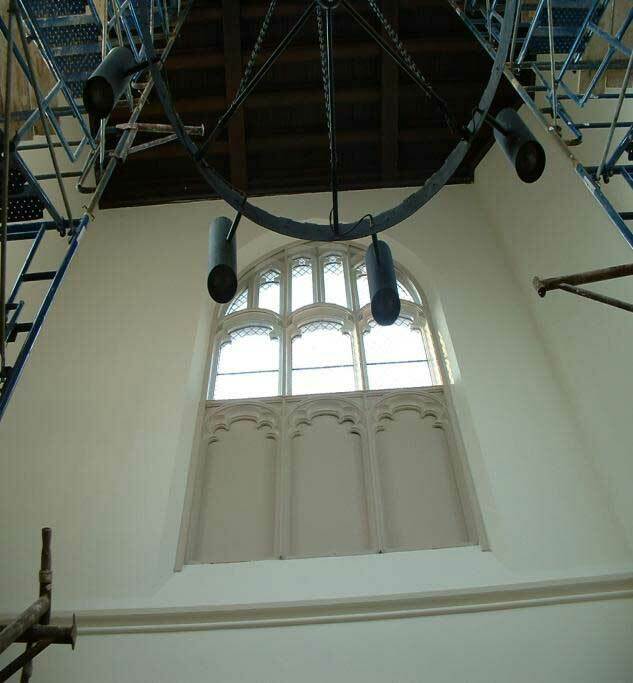 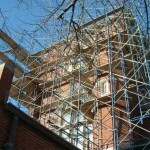 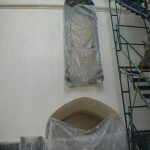 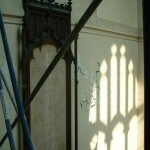 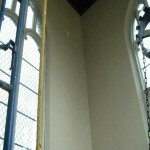 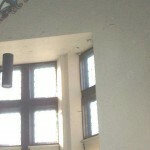 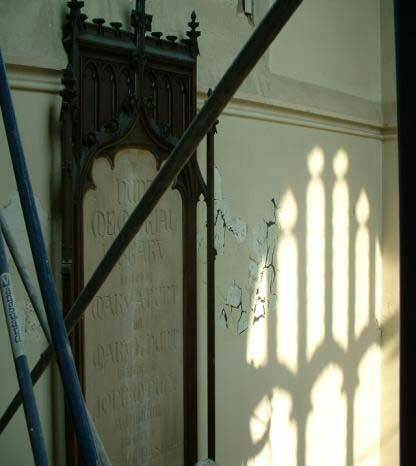 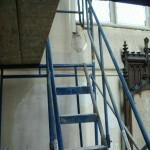 There was a significant amount of plaster restoration work in this project. 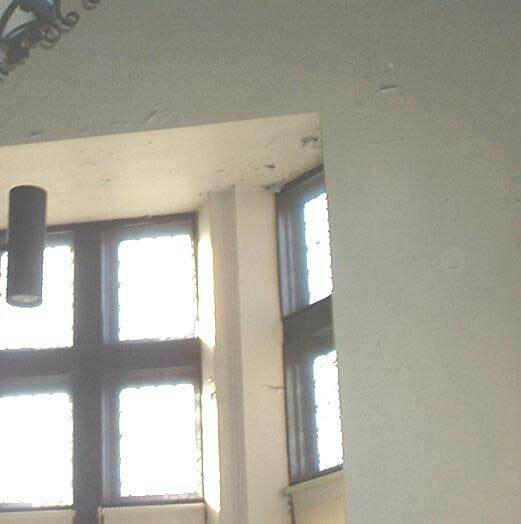 You can see in the two pictures below left and center, that parts of the wall were just falling off. 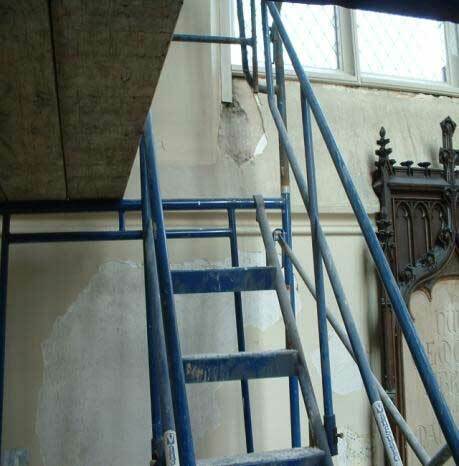 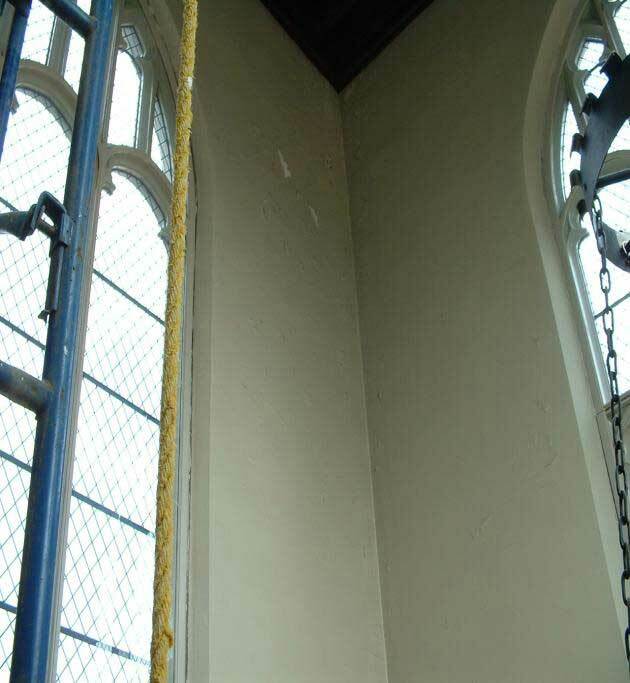 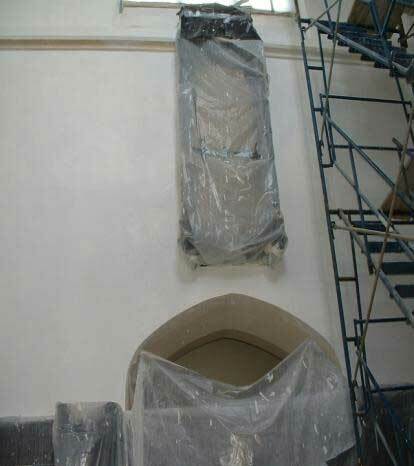 Below Right, the plaster has been repaired, but not painted yet. 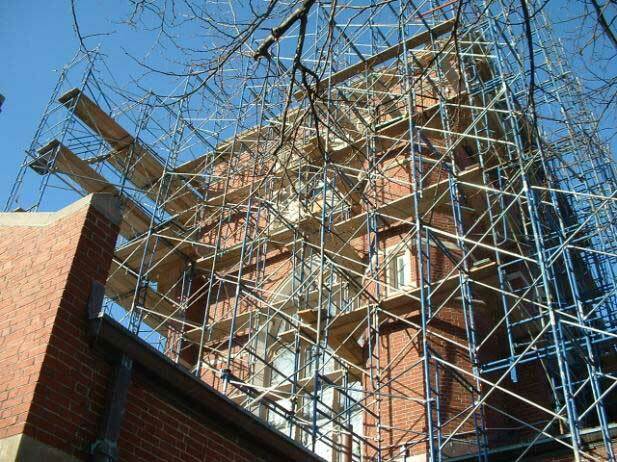 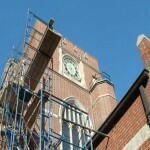 Turnstone Corporation has completed many restoration and renovation projects for this building. 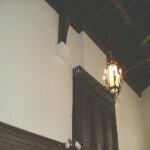 The main foyer area, shown below, is where we started. 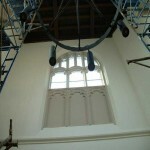 Turnstone Corporation replaced broken stain glass in the large windows shown, renovated the wood and painted, repaired plaster walls and painted. 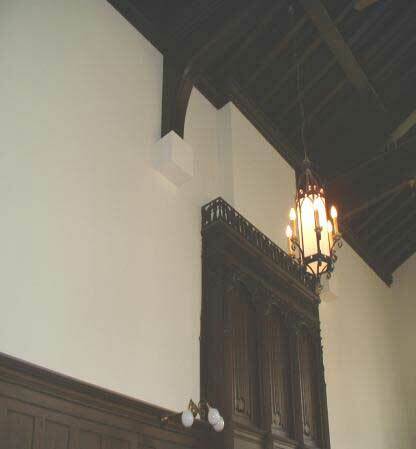 ￼￼￼For the Library Room, which was in the condition shown on the left, Turnstone repaired the plaster and painted all of the walls, shown in the picture on the right. 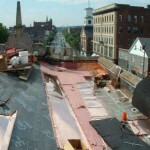 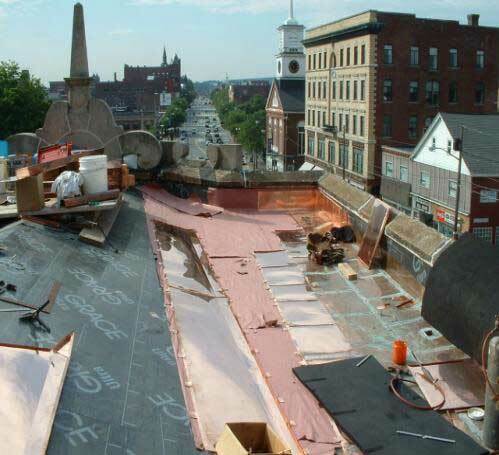 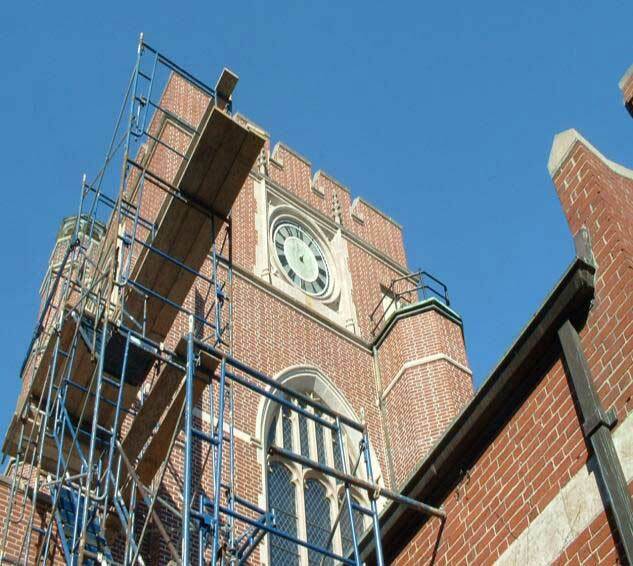 Turnstone Corporation re-pointed the tower, re-pointed the rest of the building in two phases, restored all four clocks and installed a new copper roof.